In our first article we discussed the different types of financing for different stages of your mobile food vending business’ growth and have an idea of how much capital you will need. How does this financing work? In this article we will explain it to you. You have two choices when deciding which type of capital funding you want for your prospective mobile food service business. With debt capital, you will be getting a loan that must be paid back over a set period of time, with interest and possibly some additional fees. In this scenario, you maintain full control of your company, but you will also have a loan to pay back when everything is said and done. Equity capital is funding provided by people or firms who want to own a part of your food truck business and reap some of its rewards once you become a success. What you must ask yourself with this style of capital is, do you want to give away part of your company in exchange for the cash you need to make it happen? Or, do you think you will be able to make the monthly payments towards a loan so you will be able to maintain full control and ownership of your brand? Could I qualify for debt financing? Am I willing to lose my house if the business does go under? Would investors even be interested in my concept? Am I really the control freak people say I am? Am I okay with someone going through my financial information? Please note, you will probably be able to get more money from investors than from a loan, but one of the top reasons culinary geniuses start up a mobile food business as opposed to a brick and mortar establishement is because they do not need as much capital to start up. Now we’ll wade through the the first two sources for funding, and go over some of the pluses and minuses of each. In future articles we will go into more detail about the other sources listed. Depending on how much cash that you determine you will need, you may find that using personal funds is your best option. Over 50% of small business start-ups are financed with personal funds. If your business plan does not require hiring employees, or paying exorbitant amounts of cash for permitting, licenses and fees, then you probably can get along fine without much in the way of financing. But, remember our list of operating expenses from the last article. 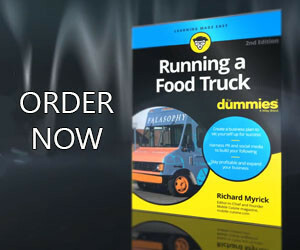 Your business is going to need to purchasing your food truck or cart, which means spending money. This means you will go into your savings account, take out a second mortgage or home equity loan, get a personal loan, or dig up that jar buried in the back yard. A home equity loan is a low-risk, relatively simple way to secure funding for your mobile food business. The bank doesn’t really care what you are using the money for, and you’ll be financing your business yourself. 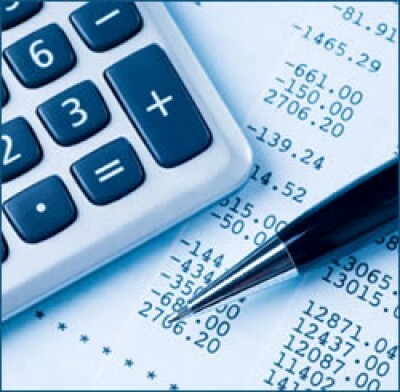 Often, having a larger financial investment in the business personally will have more weight if or when you attempt to get a business loan. A personal loan is also a possibility, but make sure you let the bank know that you plan on using the money for your food truck business. Or, start taking advantage of some of those pre-approved credit cards you get in the mail every day. Just be sure you investigate the interest rates, annual fees, and late fee charges. If yours is a simple business model, you could also bootstrap it. This means that, with a very small investment, you get the business going and then use the profits from each sale to grow your food truck business. This approach works well in the mobile food service industry when you do not need employees initially. Before you use up all of your personal savings to open your food truck, think about your other options. Have you asked Mom and Dad for a loan? Does Grandma have a few thousand dollars that she might like to invest? Has that college roommate really been as successful as he said he was at the last reunion? Tapping into the pockets of friends and family does have some benefits, but it also has its share of drawbacks. If you do end up asking friends and family, make sure you present the business to them just like you would pitch it to a bank. Let them decide whether they want to take the risk. Make sure you have a written agreement or promissory note that specifies the details of the loan. And don’t get upset when they pester you with questions about how their money is doing. This is another drawback of tapping into this particular money source. We hope you found this article helpful in your introductory steps to creating your own food truck enterprise. In future articles of this series we will go over the other forms of attaining capital such as getting a loan from a bank or SBA.